The future could see us use the tampon as medical sample. Meet the 'smart tampon' system that allows women to monitor their health. 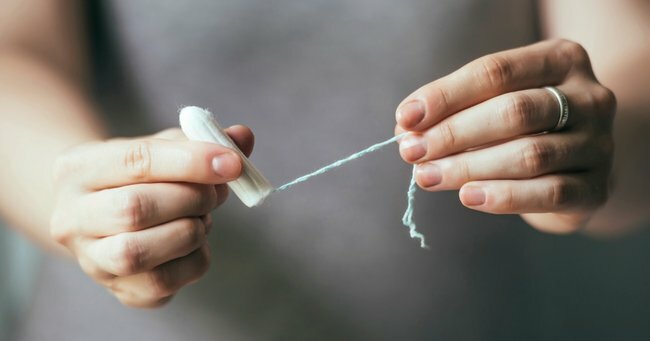 Using tampons mightn’t be the most enjoyable experience known to humankind, but you can’t dispute the fact they perform a necessary and important job. Now, thanks a pair of scientist-entrepreneurs, the humble tampon could also also provide women with valuable, potentially life-changing information about their reproductive health. It all began in 2014, when Harvard engineer Ridhi Tariyal was brainstorming ways for women to keep track of their fertility in the comfort of their own homes. She was faced with two key challenges: this diagnostic process needed to be simple, and would require the collection of a lot of blood. As Tariyal quickly realised, that’s precisely where the solution lay. “I was thinking about women and blood. When you put those words together, it becomes obvious. We have an opportunity every single month to collect blood from women, without needles,” she tells the New York Times. This breakthrough led Tariyal, along with her business partner Stephen Gire, to found NextGen Jane — a “smart tampon system” in which menstrual blood is collected and used as medical samples. According to the Harvard Gazette, the system is designed to detect warning signals of health conditions, reproductive disorders or treatable infections that can damage female fertility if left untreated. Unfortunately, many women live with PCOS, endometriosis and other conditions without realising it, and by the time they’re diagnosed the impact on fertility is already present. At first, Tariyal and Gire toyed with the idea of creating ‘smart tampons’ embedded with diagnostic chips that would transmit information to the wearer. In other words, your tampon would communicate with you directly. If that gives you major Brave New World vibes, you’re in good company — Tariyal told the New York Times the concept gave her the heebie-jeebies, which is fair enough. So she decided to keep any medical testing outside of the body. The system she’s developed relies on “user-friendly diagnostic technology” being integrated into women’s usual menstrual routines. The central technology of NextGen Jane extracts blood from tampons, detects biomarkers for health conditions, and then presents the results in a digital form. “The intent is to help you manage your health, from menarche to menopause,” Tariyal explains to the Harvard Gazette. At the moment, the duo is working towards a simpler diagnostic test for endometriosis, a chronic reproductive disorder that’s estimated to affect one in 10 women. Currently, the most common way to diagnose the condition is through a laparoscopic surgery. In their clinical trial, conducted in conjunction with a leading endometriosis clinic, Tariyal and Gire are scanning uterine cells found on tampons that have been donated by participants. Ultimately, the NextGen Jane team want to empower women, and to see people discussing their reproductive health as openly as they do their FitBit steps and other quantifiable health metrics. “If you can do that with reproductive health and get it to the point where people talk about it at work or over cocktails, then it reduces the stigma, allowing women to be more proactive,” Gire explains to the Harvard Gazette. “We’re looking to start a revolution in women’s health, and we’re betting on women being smart as hell, really savvy, and knowing how to manage this stuff,” Tariyal adds. We can’t wait to see if they’re on the money.